God allowed Moses to see His glory so that he might be changed by the sight of it—and the same is true for us today. God reveals His glory to us so that by seeing it, we might be changed into His very own image! Today, Jesus Christ is the express image of who God is. When our Lord became flesh, it was as a full revelation of the heavenly Father’s mercy, grace, goodness and readiness to forgive. God wrapped up everything of His nature and character in Jesus. And any revelation of His glory to us now is meant to change us into an expression of Christ. The apostle Paul understood well the purpose and effect of seeing the glory of God. He saw it as power to change the beholder, to revolutionize the life of every follower of Christ. “But we all, with open face beholding as in a glass (mirror) the glory of the Lord, are changed into the same image from glory to glory, even as by the Spirit of the Lord” (2 Corinthians 3:18). Paul then says in an even stronger tone: “That the God of our Lord Jesus Christ, the Father of glory, may give unto you the spirit of wisdom and revelation in the knowledge of him: the eyes of your understanding being enlightened; that you may know what is the hope of his calling, and what the riches of the glory of his inheritance in the saints” (Ephesians 1:17-18). 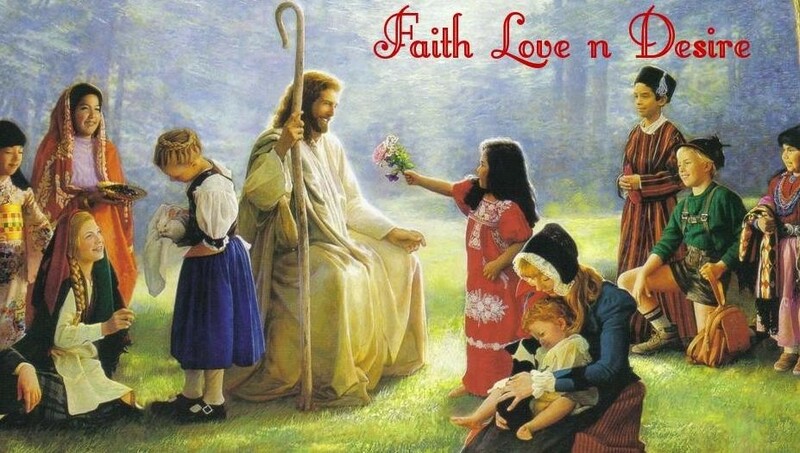 “That Christ may dwell in your hearts by faith; that you, being rooted and grounded in love, may be able to comprehend with all saints what is the breadth, and length, and depth, and height; and to know the love of Christ, which passeth knowledge, that you might be filled with all the fullness of God” (3:17-19). I’m glad that you like it! Thank you for your kind words! I really appreciate it! Blessings! Very beautiful post Neeky! God bless you! Thanks so much my friend! Blessings! Beautiful writings on the wall. I’m swallowed deep within! God bless you my friend. I’m glad dear that you liked it! You are so kind! Thank you for your supportive words! I truly appreciate it! God bless! What a wonderful post! God’s nature is love! Beautiful! Amazing love of god! Thank you! Yes God is great! His love is amazing! Thank you my friend for your kind words! Blessings! So inspiring post sister! I love that verse! Many thanks to you brother! Much blessings to you! Much thanks to you my friend! You are so kind and supportive! I’m glad you liked it! God bless you immensely! Thank you so much my friend for visiting, reading and commenting my blog! I truly appreciate your kind support! Thanks dear! God bless you richly! Reblogged this on Redbird's Roost. Thanks for reblogging dear! I’m glad that you liked it! God bless you richly! I’ll surely check out your blog dear! God bless you richly! thank you my friend for reblogging! I’m much honoured! God bless you immensely dear! Oh, Neeky…what a simply wonderful post. Truly His nature is love. Big hugs, my dear friend!! Much thanks dear! Your supportive words always encourage me! Thank you my dear friend! God bless you abundantly! Thanks so much for your kind words! I truly appreciate your support! God bless you greatly! Have a wonderful and a blessed day! I loved this post on glory Neeky. The glory of God has the power to change us…Thanks for sharing! Thanks so much my friend for your encouraging words! God bless you immensely! Have a blessed day! Much thanks to you dear! I really appreciate your kind support! God bless you abundantly! I learned something here: God shows me his glory so that I can be changed by it. I learn a lot from your posts friend! Thanks for your supportive words! I truly appreciate it! You are truly a kind person! God bless you richly! your wish is always in my prayer. God bless you. thank you for your golden words. May we all see the glory of our Lord afresh and appreciate His greatness! Thanks for a great posting Neeky. Lord bless you! Beautiful! May we each see holy and wholly what He sees and go after it in full pursuit for His glory! We must have been on the same “wavelength” today! My post is something like this. God is a God of many emotions, but it’s His loving nature we must seek. I’d hate to try to oppose Him! Awesome Word! As we mature, glory to glory, His glory becomes more evidence in us. Thanks for sharing! God bless you Neeky! Hugs! Hi Neeky! The nature of God IS love…and even in His wrath and judgement He expresses that to those who will understand the context of the complete, “agape” type of love He possesses! Very well expressed! May God bless you and this blog as you truly touch peoples hearts.